UPDATED: Wed., Aug. 8, 2018, 10:09 p.m.
Former Washington State golfer Brian Mogg holds a two-shot lead after two rounds of the Washington State Amateur. Mogg birdied Nos. 15, 16 and 17 to cap a 5-under 65 Wednesday at Gamble Sands in Brewster. He opened with a 64 Tuesday. Mogg has made 14 birdies in 36 holes. WSU sophomore Ryan Maine is in a four-way tie for second at 9 under after shooting a 64. The Freeman High graduate carded four birdies, no bogeys and eagled the 313-yard par-4 eighth. Maine is joined by Michael Butler, RJ Manke and Michael Almonte at 9 under entering Thursday’s final round. Gonzaga’s Holden Backes is at 8 under after firing a 64. Hayden Lake’s Reid Hatley shot a 65 to move into a tie for eighth at 7 under. University of Idaho’s Sophie Hausmann lost her opening match in the U.S. Women’s Amateur, falling in 19 holes to Megan Schofill of Monticello, Florida. Hausmann, a rising senior, birdied No. 17 at The Golf Club of Tennessee to square the match. Both players made pars on No. 18 before Schofill won the match with a birdie on No. 1, the first playoff hole. Hausmann tied for eighth in stroke-play qualifying after rounds of 68 and 70. She was the 13th seed, Schofill No. 52. Coeur d’Alene High’s Brayden Ogle shares first place in the boys 16-18 age group after two rounds of the Idaho Junior Amateur. 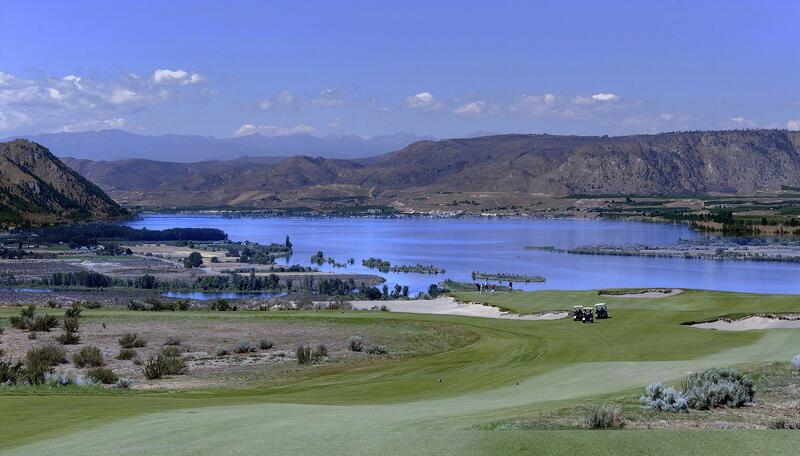 Ogle shot a 2-under 70 at Falcon Crest Golf Club in Kuna. He’s tied with Jack Curran and Nick Roberts, both of Meridian, entering Thursday’s final round. Central Valley’s Brayden Miles is third in the boys 13-15 division after rounds of 70 and 75. Liberty Lake’s Garrett Packebush (66-81) is tied for fourth. Hayden’s Cole Jaworski, who aced the 156-yard eighth hole with a 9-iron, is tied for sixth. Moscow’s Makena Rauch (74-79) has a two-stroke lead over Lindsay Lloyd in the girls 16-18 division. Central Valley’s Courtney Jackson is tied for fourth, 12 strokes behind. Central Valley’s Kami Twining (75-85) is fourth in the girls 13-15 division. Eagle’s Carly Carter leads at 1-under 143. Spokane’s Amanda Nguyen won the girls 9-10 age group. She shot nine-hole scores of 39 and 40 for a 25-stroke victory. Spokane’s Teigen Brill (38-38) finished second in boys 9-10. Spokane’s Justin Krasselt (37-42) took third. Published: Aug. 8, 2018, 9:48 p.m. Updated: Aug. 8, 2018, 10:09 p.m.